Last chance to register for this special Networking and evening of Business Principles sharing by a dear friend and mentor, Joe Greene. Joe Greene is one of the most successful entrepreneurs not just in Tennessee, but anywhere. And he did it his way!! October 19, 2017, from 6:00 to 8:00 pm, at Trevecca Nazarene University. Join our members and guests as we hear Joe speak and read excerpts from his book-’DARE TO SUCCEED’, which is sure to become a best seller. 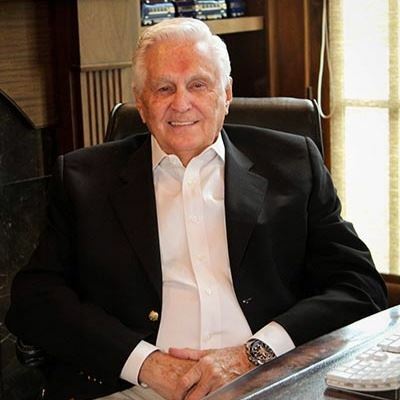 Joe crafted his vision for business leaders during his own 40-year career in the healthcare field, including serving as a president of hospital operations with the Fortune 500 firm Humana and as CEO of his own company Health Management Associates. Trevecca Nazarene University is proud to host this exceptional event. The venue for the October 19th event is cosponsored by Trevecca’s Skinner School of Business and Technology and the Tennessee American Chinese Chamber of Commerce and will be held in our new music facility, the Jackson Center for Worship Arts, Zelma Waggoner Performance Hall. The building is located at 502 Lester Avenue and Lester is the street leading through the main entrance to campus from Murfreesboro Road. RSVP and Registration required at www.TAC3.org or contact John Mickner @jmickner@gmail.com and enter ‘save my spot’ in the subject line. We are excited to announce a special Networking and evening of Business Principles sharing by a dear friend and mentor, Joe Greene.